Why do men use Vietnamese human hair toupee more than women? Home	→ Blog → LACE FRONTAL WIGS → Why do men use Vietnamese human hair toupee more than women? Are you looking for a perfect Remy Human Hair Toupee and hair topper for thinning crown for both men and women, you are at the right place! Layla Hair raw vietnamese hair wholesale can supply the best quality products and professional service for personal customers, hairdressers, topper hair salon, reseller and wholesaler all around the world. Layla hair wholesale Vietnam virgin hair supplier can meet all the requirements of both existing customers and potential customers. This is because the fact that customized order and stock topper hair extensions both are available in Layla Hair Vietnam hair supplier. You are spending too much money on medical treatment for hair loss and balding but it does not work? Layla Hair virgin Vietnamese hair vendor is confident that you’ll be pleasantly surprised at just how cost effective it can be to use Clip in Human Hair Toppers and 3 piece hair topper from Layla Hair as your long-term hair replacement solution. Our stock hair toupee come in a variety of different base materials including lace, skin lace or PU, mono or a combination of the three. Each base materials have their own peak. For example, while the lace topper and mono hair topper are breathable, airy and lightweight, crown topper wig for men that have the PU skin at the edge of the base are super durable and long-lasting. 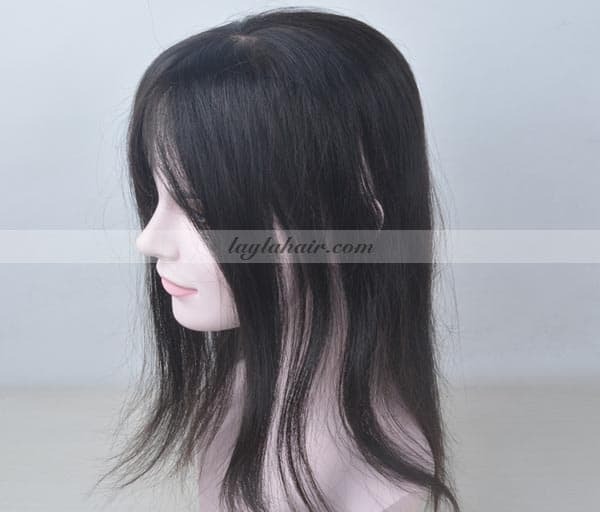 Therefore, depending on your priority and personal preference, you can feel free to try lace front topper or monofilament hair toppers from Layla Hair Vietnamese Remy hair wholesale. We are pretty sure that they all suit you. As one of the most famous virgin human hair suppliers, Layla Hair Company commits to manufacturing human hair topper and best hair topper for thinning hair with 100% Remy Vietnamese human hair. A lot of customers cannot find 100% Remy hair topper with bangs until they come to Layla Hair Company. In fact, many human hair vendors create hair topper and human hair wiglet topper from Non-Remy hair collecting from a number of resources. 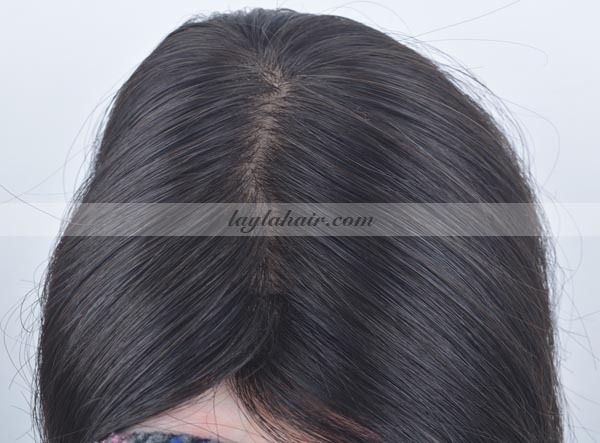 Unlike them, Layla Hair wholesale hair weave distributor tries to collect virgin Vietnamese human hair from single Vietnamese healthy donor to make sure that all the strand of hair is at the same direction from roots to tip. Hence, high-quality Vietnam hairstyle hair topper from Layla Hair is always silky, shiny and tangle-free. Vietnam hairs and vietnamese haircut are all the rage right now! On top of that, Layla Hair wholesale hair extension places priority to Vietnam virgin hair from Vietnamese young women who had never used hash shampoo or undergone heating curl, perming and colouring. For that reason, Layla Hair mens toupee, clip on hair topper and crown topper hair pieces made from Vietnam raw hair are washable, dyeable, easy to fit, can be straight or curled as you wish after you buy them. Alternatively, you have the option of choosing one of our in-house services such as cutting, colouring and styling or base cutting which would make your hair system ready to wear from the moment you receive it in the post. In term of colour, you can opt for natural colour, brown or grey and so forth. You are a successful person but not self-assured due to being bald? So why don’t you gain the confidence with Layla Hair men toupee and hair topper for thinning crown? As you might know, causes and triggers for male hair loss vary. The hair loss can be attributed to genetics, illness or some combination of environmental factors. Nevertheless, male pattern baldness characteristically begins with a receding hairline and thinning at the crown. Eventually, it progresses to a more apparent baldness over the entire top of the scalp. Layla Hair human hair topper for thinning hair and Vietnamese curly hair toupee are perfect choice to conceal your hair loss. Because our best hair topper for thinning hair, glue on toupee and mens toupee are natural-looking and undetectable. Dark visible knots of human hair toupee are blenched to proper beige color which is very close to natural skin color. It makes knots undetectable and looks like hair grows out of your scalp directly. That’s why many famous celebrities, singers and actors are keen on wearing Layla Hair toupee hair when they appear front tons of people. Our clients want natural-looking hair on an undetectable base, and our lace hair base is best for that. If you need something very durable, a monofilament topper is advisable because mono is the most durable base material and offers the longest lasting. And Layla Hair raw Vietnamese Hair wholesale always makes every effort to maintain the Vietnamese hair texture and Vietnamese hair style as much as we can. The first step in the hair replacement process is choosing the best hair toupees for men for the coverage needed. Yet, because different types of hair replacement options such as a “wig,” “hair piece,” “topper” and “toupee” are often utilized interchangeably. It can be hard to point out the difference between partial wig human hair, partial toupee and full lace wig. Here is a brief explanation of three common hair replacement systems, as well as the coverage each is designed to provide. A toupee hair is a type of hair piece intended to cover baldness on the top of the head. This partial hair piece is usually held in place with two-sided special tape. Or liquid toupee glue and blends with existing hair on the sides and back of the head. Typically men use hair toupees more than women, due to the coverage needed for male pattern baldness. Wigs are worn to cover the entire scalp and typically wigs are removed each night by the wearer and not worn during certain activities such as bathing and swimming. Wigs also often used as part of a costume and several famous actors, musicians, athletes and other celebrities such as Britney Spears, Lady Gaga and Nicki Minaj. In contrast to a wig (wiglet), men toupee hair pieces are designed for various kinds of coverage. Hair extensions, toupees, and bangs are all types of hair pieces. The coverage of a hair piece depends on your needs. For example, Layla Hair offers men toupee hair pieces that are customized to each client. Layla Hair can fill in thinning hair or cover an entire scalp. Unlike human hair wigs, toupe glue and mens clip in hair extensions can be crafted to be more durable. Human hair toupee allowing it to stay on while sleeping, showering, swimming and exercising. Layla Hair raw Vietnamese Hair Supplier works with some of the biggest international couriers like FedEx, DHL, EMS and UPS. So you have no need to worry about the delivery service. You can expect to receive your long hair Vietnam hair topper with bangs. Best hair topper for thinning hair or lace topper in usually just 3-5 business days. 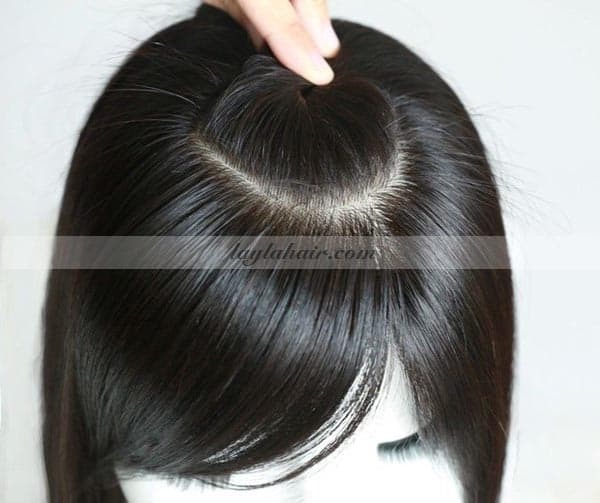 We can ship stock Vietnamese weave, human hair wiglet topper and crown topper hair pieces. The day you order them but custom-made hair topper and crown topper obviously require several days of production time. If you need advice on any of human hair topper for thinning hair and toupee hair styles. Then don’t hesitate to get in touch with us.